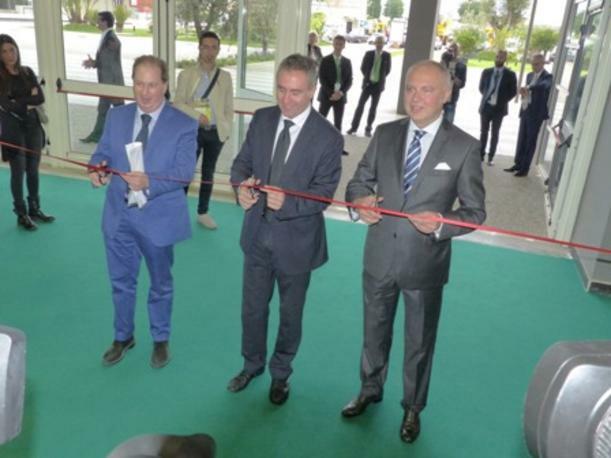 Inaugurated this morning the 2015 edition of Agrilevante (Fiera del Levante, Bari 15/18 October) . The ceremony was attended by the presidents of FederUnacoma and Fiera del Levante , Massimo Goldoni and Ugo Patroni Griffi , and the Councillor for Agriculture of thePuglia Region , Leonardo Di Gioia . 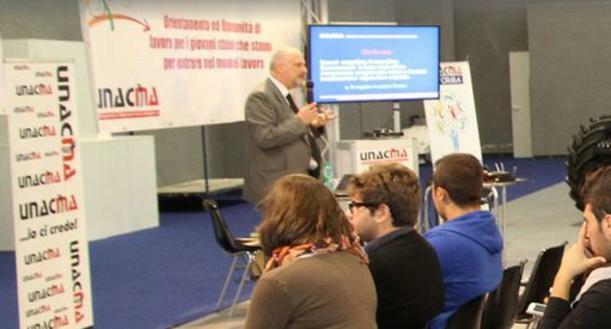 Mech@griJobs, returning for this edition of Agrilevante, is an initiative sponsored by UNACMA, the National Union of Agricultural Machinery Dealers, in collaboration with FederUnacoma, the Italian Agricultural Machinery Manufacturers Federation, for providing young people with orientation and job opportunities in the new field of professional agricultural mechanical engineering. Stand 50 in Pav. 18 will host lessons and demonstrations with Kubota in this area dedicated to employment supply and demand among companies in the supply chain and young people in search of work. The fourth edition of the Agrilevante New Techniques Competition has assigned three awards for new techniques to Caffini, F.lli Marineli and Pellenc Italia and five honorable mentions to Antonio Carraro Spa, Agricola Nocese Srl, BCS Spa, Merlo Spa e Pellenc Italia. These machines will be put on display in a dedicated area set up in the Verdi Hall, with access from Pavilion 18. The competition award ceremony is planned for Saturday, October 17th during the dinner apertif reserved for the exhibitors at the review. 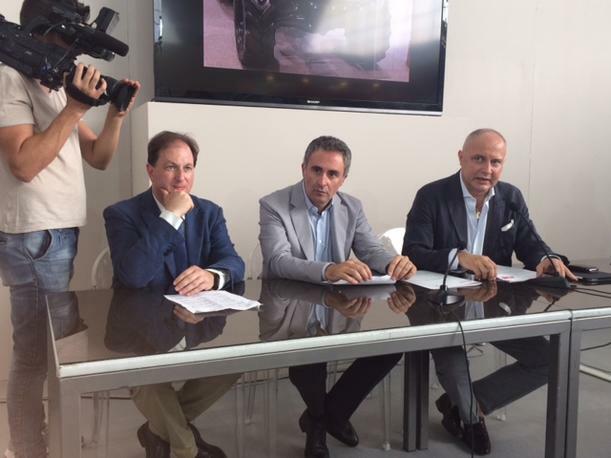 The 2015 edition of Agrilevante was unveiled the 17th Septmber at the Fiera del Levante. The presidents of the entities organizing the event and the commissioner of agriculture of the Puglia Region underscored the importance of the trade fair and the positive Agrilevante balance sheet focusing on the Mediterranean region and this year reaching a record for area allocated and the number of exhibitors arriving. 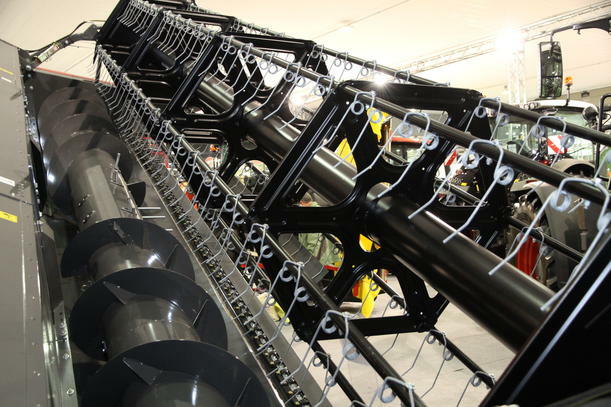 The organization of the 2015 edition of the biannual Exhibition on machinery and technologies for agricultural production chains "Agrilevante" is already going on at full pace. The bookings and applications received in so far already cover 65% of the available exhibiting space, and allow foreseeing another successful edition, after the 2013 one saw the all-time record in terms of exhibition space (50 thousand sqm), of exhibitors (300 Companies) and of visitors (50 thousand, with 30 foreign delegations from 14 Countries). Fourth edition for the Agrilevante Technical Innovations Contest, dedicated to the exhibition’s firms of the event organized by FederUnacoma jointly with Fiera del Levante. The manufacturers which have produced machinery, equipment, accessories or components featuring avant-garde solutions in the areas of productivity, the safety of operators and consumers and environmental sustainability can submit the application form and the documentation required by next September 2nd.